The University of Minnesota Press invited MMPI-2-RF co-authors Tellegen and Ben-Porath to have a videotaped “conversation” about the test in the context of the development of all the MMPI instruments, which was filmed at Twin Cities Public Television (TPT) in St. Paul, Minnesota in March 2016. Beginning with the original MMPI, authors Tellegen and Ben-Porath discuss the rationale for developing the tests and describe the major features of each. Informal professional biographies of Auke Tellegen and Starke Hathaway, whom author Tellegen knew well, are offered through lively anecdote by Professor Tellegen. The authors conclude their conversation by looking to the future of the MMPI and personality assessment, in general. Ben-Porath, Y. S. and Tellegen, A. (2016). A Conversation about the MMPI with Yossef Ben-Porath and Auke Tellegen. Retrieved from the Data Repository for the University of Minnesota, https://umedia.lib.umn.edu/taxonomy/term/957. MMPI-2-RF Expert: Martin Sellbom, PhD. The University of Minnesota Press Test Division is pleased to feature Martin Sellbom, Ph.D., in the web series "Interview with a MMPI-2-RF Expert." Dr. Sellbom is presenting several MMPI-2-RF Overview and Forensic webinars throughout 2016. Dr. Martin Sellbom is an Associate Professor in the Department of Psychology at the University of Otago in Dunedin, New Zealand. He received his Ph.D. in Clinical Psychology in 2007 from Kent State University (Kent, Ohio), and completed a two-year post-doctoral residency at Kent State University and Psycho-Diagnostic Clinic in Akron, Ohio. Dr. Sellbom’s research focuses on psychopathy and other personality disorders, the broader integration of personality and psychopathology, and personality assessment with the MMPI-2 and MMPI-2-RF. His work has been featured in over 115 peer-reviewed publications and he has won several awards for early career achievement. Dr. Sellbom serves as an Associate Editor for the journals Psychological Assessment and Journal of Personality Disorders. For his clinical practice, he specializes in court-ordered forensic psychological evaluations and pre-employment evaluations for public safety positions. How did you become interested in psychopathy and personality disorders in your research? My research was initially focused specifically on psychopathy, which arose from my long-standing interest in the criminal mind. I had always been curious about why certain people seemed to behave in such socially norm-violating ways, whereas the great majority of people seem to function appropriately in this regard. Later in my career, it became obvious that the way we conceptualize psychopathy as a distinct entity is fraught with many of the same problems as personality disorders more broadly. My most recent work has therefore shifted to understanding and operationalizing personality pathology from a dimensional trait perspective; psychopathy is just one particular maladaptive trait constellation. What led you to focus on forensic use of the MMPI-2-RF in your practice? Many of the psycho-legal questions that I am asked by courts or lawyers to address require consideration of response bias and mental health functioning. The MMPI-2-RF likely offers the best combination of any psychological test instrument to get a good sense of an individual’s approach to the evaluation (via the Validity Scales) and current mental health and personality functioning. How would you characterize the forensic work you do? In Australia and New Zealand, most of my referrals tend to focus on pre-trial or pre-sentence psycho-legal questions. I am often asked to evaluate whether criminal defendants are competent to stand trial, should be held criminally responsible (i.e., sanity), pose a significant risk to self or the community, or generally, what mental health factors should be considered in sentencing. It is never the same and new challenges always seem to emerge. I think you are exposed to the widest range of mental illness and personality disorders of any clinical setting. I also love diagnostic puzzles and have developed an appreciation for the art of communicating complex psychological concepts in the form of opinions to lay decision-makers. What advantages do you believe the MMPI-2-RF offers over other tests? The University of Minnesota Press Test Division is pleased to present the web series "Interview with a MMPI-2-RF Expert." The following interview is with forensic psychologist Dr. Kyle Boone. Kyle Brauer Boone, Ph.D., ABPP, is a Professor within the California School of Forensic Studies, Alliant International University, and a Clinical Professor within the Department of Psychiatry and Biobehavioral Sciences at UCLA. She has published over 120 peer-reviewed articles in the area of neuropsychological assessment, primarily regarding the development and validation of neurocognitive performance validity tests. 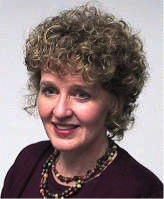 She was a member of the American Academy of Clinical Neuropsychology (AACN) committee that drafted practice standards for the field of clinical neuropsychology (published in 2007), and she was also on the AACN committee that published practice guidelines for assessment of malingering (published in 2009). She was director of the neuropsychological testing service at Harbor-UCLA Medical Center from 1986 to 2008, and in that capacity supervised the testing of thousands of patients while at the same time training dozens of students in neuropsychological assessment. What led you to focus on forensic neuropsychology in your research and practice? When I first trained in neuropsychology over three decades ago, there was virtually no discussion as to how to identify test takers who were not performing to true ability. It became apparent to me that research in this area, including development of effective techniques to detect noncredible test performance, was of high priority. If we as neuropsychologists cannot verify that test data are accurate, it can be argued that our exams are essentially worthless. I am very proud of my field when I am in the legal arena because our discipline provides and relies on sound psychometric data to make determinations as to credibility of symptom presentation and psychiatric diagnoses. Would you recommend use of the MMPI-2-RF in this setting? The MMPI-2-RF is imperative in my forensic neuropsychological evaluations; I tell my students that if I was not able to use the MMPI-2-RF it would be like being deprived of my right arm. What advantages do you believe it offers over other tests? Meet the Author: David Corey, PhD. How did you first get involved in the public safety sector? My undergraduate adviser was an early pioneer in police psychology and I had the good fortune of becoming his research assistant. I continued to pursue this area of study in graduate school and conducted my doctoral dissertation research on the use of the MMPI in predicting counterproductive behavior in police officers. Since 1980, my primary area of practice has been in the assessment—both preemployment and fitness-for-duty—of police and public safety personnel. What are the three most important things that people should know about the MMPI-2-RF Police Candidate Interpretive Report (PCIR)? It’s evidence based (all correlate-based interpretations derive from published studies), transparent (the source for every interpretive statement is identified in the report), and relevant (all interpretive statements pertain to behaviors and performance domains that are meaningful in police work). What was your primary goal in developing the PCIR? Our primary goal was to provide users of the MMPI-2-RF with a useful bridge between the science and practice of police candidate screening. The individual psychologist is responsible for assessing a candidate’s suitability for police work based on consideration of test scores, personal history and other collateral information, and clinical observations, but we wanted to facilitate that task by providing easy access to the evidence-based meaning of a candidate’s MMPI-2-RF scores. Test users could certainly access that information on their own through a careful analysis of the published literature, but the PCIR simplifies and standardizes that task. What advantages did the MMPI-2-RF offer as the instrument from which the PCIR was derived? First, the MMPI-2-RF’s hierarchical organizing structure overlays nicely onto the common psychological screening criteria for police applicants, with their shared focus on personality and psychopathology. Second, because the MMPI-2-RF derives from a subset of the MMPI-2 items, it was possible for us to conduct longitudinal outcome studies of police candidates who had taken either the MMPI-2-RF or the MMPI-2, which gave us immediate access to a much larger pool of subjects. Third, the accumulating empirical evidence supporting both the psychometric advantages and validity of the MMPI-2-RF made it a compelling choice for the PCIR. Finally, Auke Tellegen and Yossef Ben-Porath had established a commitment to interpretive source transparency in their publication of the MMPI-2-RF Clinical Settings Interpretive Report, which made the PCIR a natural extension of that legacy. How do I see the PCIR most benefiting today’s police forces? Psychological screening of police officer candidates occurs in the vast majority of jurisdictions across North America, and in nearly all agencies serving communities of 25,000 or more residents. By contributing to empirically informed and valid selection decisions, it’s our hope that the PCIR can enhance the quality and effectiveness of police officers, reduce the incidence of counterproductive behaviors, and increase public trust. Additional information on the new MMPI-2-RF Police Candidate Interpretive Report, can be found here.